The East Lakeshore Trail provides 21 miles of quality hiking trail generally traversing the undeveloped and forested east shore of Tellico Lake featuring a variety of landscapes and beautiful lake views as well as distant views of the Great Smokey Mountains. Location: In Loudon County, Tennessee along the eastern shore of Tellico Lake about 30 miles south of Knoxville, TN. Glendale Trailhead - From US321 take SR95 0.7 miles to Glendale Community Rd. Trailhead with information kiosk is at end of road. Coytee Trailhead - From US321 take SR95 1.7 miles to Axley Chapel Rd. Stay on Axley Chapel Rd. to Coytee Rd. Trailhead with large elevated bridge is located short distance down Coytee Rd. on the left. Sinking Creek Trailhead - From US321 take SR95 3.4 miles to National Campground Rd. Right on National Campground Rd 1.4 miles to trailhead with information kiosk on left. 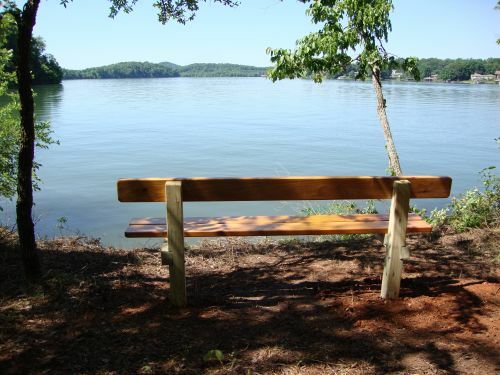 The East Lakeshore Trail is the product of a successful eight year partnership between the Watershed Association of the Tellico Reservoir (WATeR)and the Tennessee Valley Authority (TVA). WATeR is an all volunteer not-for-profit organization dedicated to the conservation of natural resources in the Tellico Reservoir Watershed, and promoting clean water and appropriate outdoor recreational pursuits. In March,2003, Water and TVA entered into a formal cooperative agreement to build the East Lakeshore Trail. To date, more than 21 miles of trail has been completed and is open for public use. The trail consists of six distinct branches accessed from three trailhead parking areas. 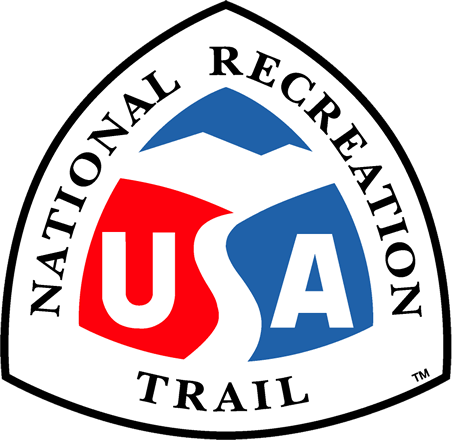 It is envisioned the trail will ultimately stretch more than 30 miles from the Tellico Dam to a point near U.S. Highway 411 near Vonore, TN. In effect it is being managed as a linear park featuring four information kiosks with maps, numerous bridges ranging from 3 to 85 feet in length, fence stiles and stairways, mile markers, benches at scenic view sites, three boat landing access points, and numerous directional and information signs. To facilitate maintenance of such an extensive trail system WATeR has developed a cadre of adopt-a-trail volunteers to perform routine inspection, cleanup and minor maintenance tasks throughout the year. Hiking clubs, nature groups, and many individuals coming from nearby communities use and enjoy the trail year-round. The East Lakeshore Trail adds another dimension to the multi-use nature of the public land on which it is being built. It provides a quality recreational resource contributing to the physical and emotional well being of those who use it. The trail provides an educational tool through the use of information bulletin boards at trailhead kiosks, signing of native trees and plants along the trail, and a 1.6 mile self guided interpretive trail. On average volunteers contribute 1,200 to 1,400 hours annually to build the trail. Many more hours is contributed for planning, administrative and general maintenance needs. The TVA provides general oversight and technical support in laying out the trail, assisting with heavy equipment construction needs such as building trailhead parking areas and a major bridge, and furnishes some of the materials needed for trail construction. WATeR pursued development of the East Lakeshore Trail as a major community recreational asset, but another impetus was to help deter the possibility of future sale and destruction of the beautiful forested lands along Tellico Lake for the purpose of commercial and residential development. The trail project is widely supported by residents of nearby local communities including Lenoir City, Loudon, Vonore, Greenback, and the general Knoxville metropolitan area. It has received support and financial assistance from the Tellico Village Women's Club, Kiwanis Club of Tellico Village, Cooper Homes, Tellico Village Woodworkers Club, Tennessee Trails Association, Tennessee Parks and Greenways Foundation, American Hiking Society, and the State of Tennessee.